Had a lovely dinner at Ishin (Old Klang Road), yeah, Japanese dining again. lol. To celebrate the months we spent together as couple. Thanks to my love. 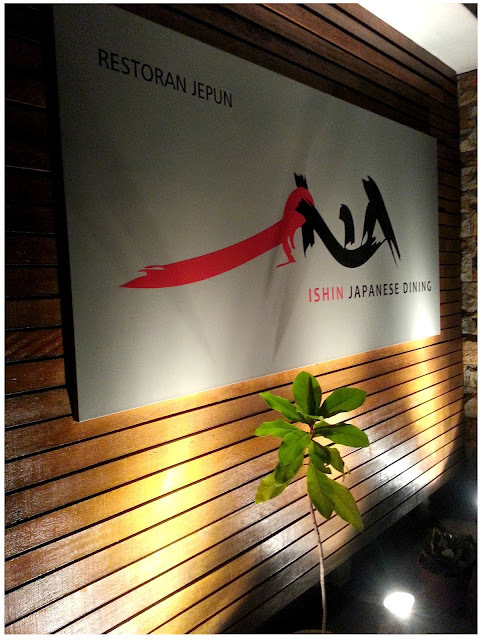 Original plan was to have a quick dinner at Nihonkai, but when we got there, there's so many people waiting to be seated and le bf suggested to dine at Ishin that located not far from Nihonkai. I just wanted to stuff any food I can find asap so I guess that's the best option. But when I first saw the appearance of the restaurant, I was like: It's gonna be a good one. The place was kinda crowded as well and we're seated at sushi bar, get to see all the 'live action' from sushi chef in front of us, slashing fishes and opening clams. lol. Got us wondering and discuss what fish is this and that and what's in the box. hahaha. 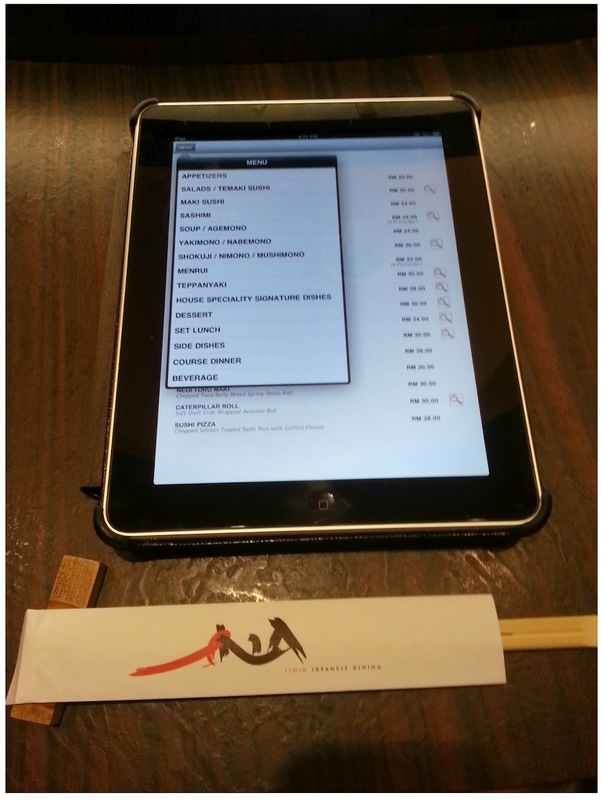 Their menu in iPad form, but they take orders manually. 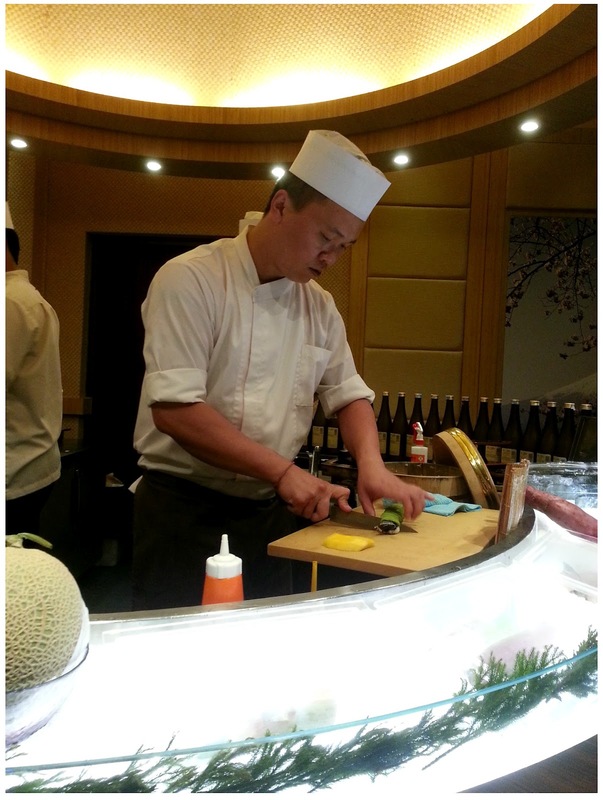 Yes, your raw sashimi are placed here before they slice it for you. 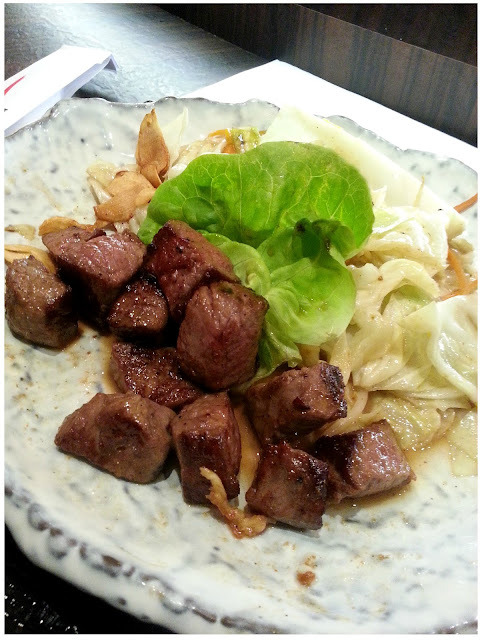 After some consideration, decided to have Sashimi Zen (course dinner) and Teppanyaki Beef Course for him. I think their hot tea a tad bit overprice - RM6 hence opted for their fresh fruit juice. 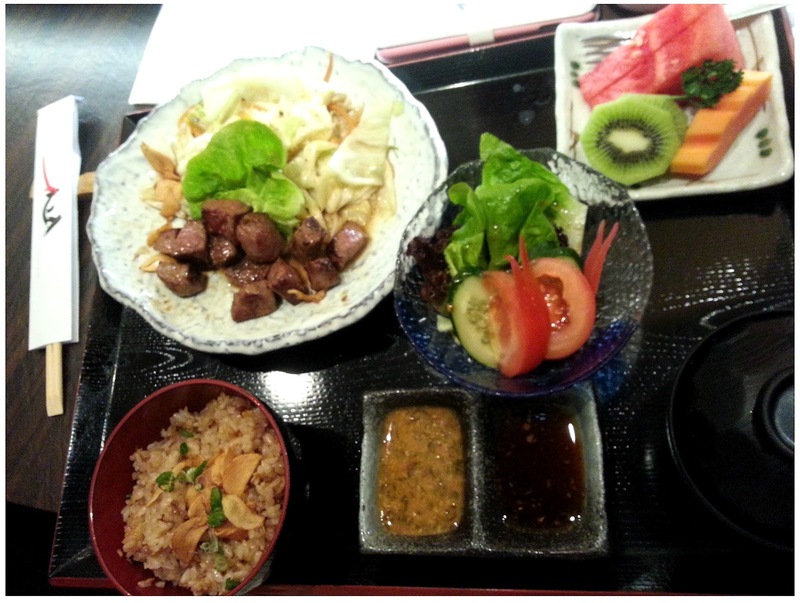 Rice, miso soup, chawan mushi, tempura and fruits were included in the set, I can't even finish the rice. 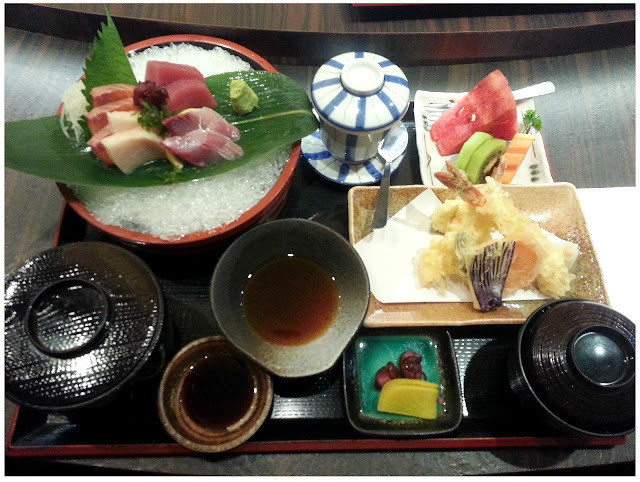 4 types of Sashimi - Shake, Maguro, Hirame and Kampachi(unsure). 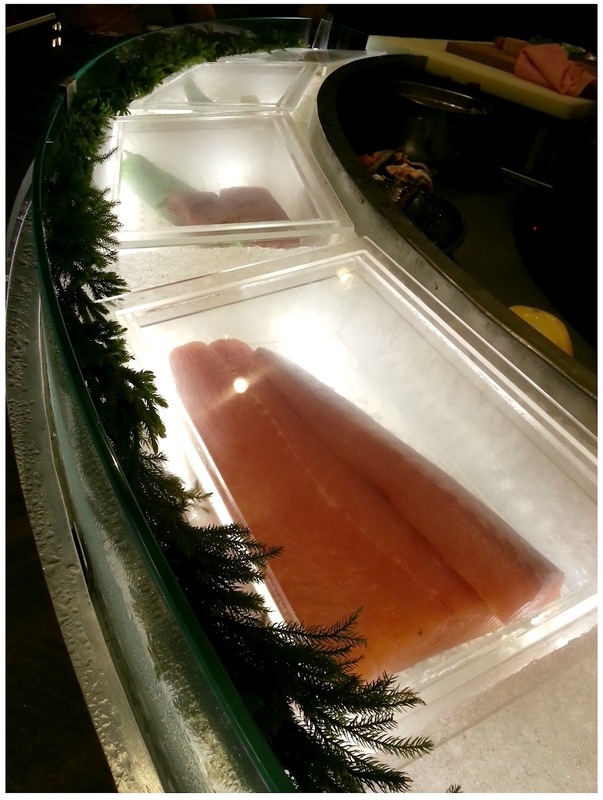 Their sashimi are fresh. If you like Salmon with lots of fats and chewy, this is the place. 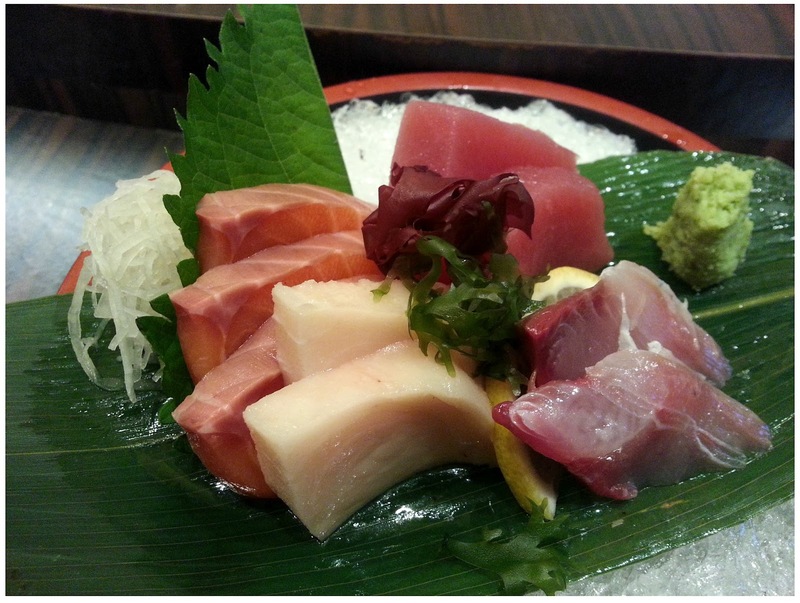 Their butterfish are juicy as well as their Maguro. These are one of the freshest sashimi I've had recently that they're totally worth their price! 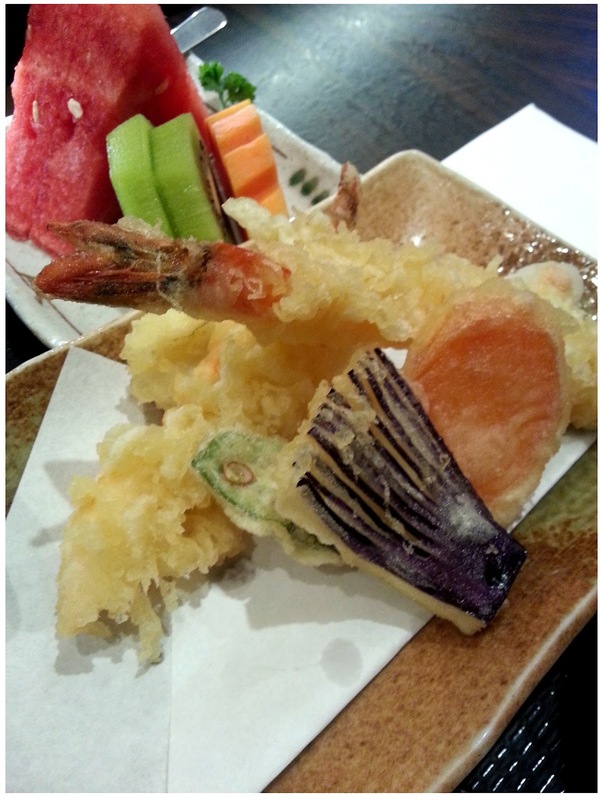 RM48 for one set of Sashimi course dinner, super value! Tempura, not too oily, just nice! 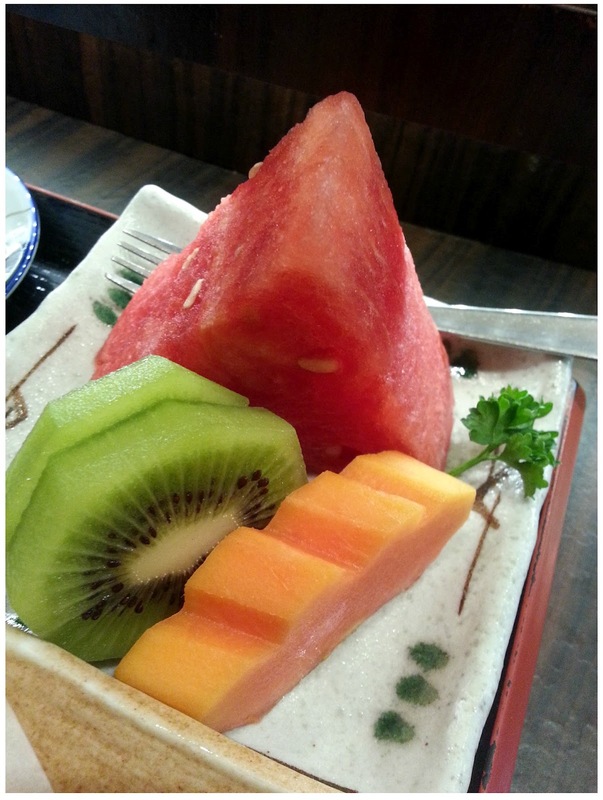 Best fruit combination I ever had in Japanese set, Kiwi is my soft spot. Look at its juicy beef chunks! I had just one cube of the beef and it taste good! Even though le bf didn't mention how he want his beef cook, they made it just nice, not too soft not too hard, pinkish in the middle and a bit of crusty outer. After ate the beef, I told le bf that this is the place to have Wagyu! They know how to cook beef well! This restaurant is truly a hidden gem in the city, with its reasonable price range, freshness of food and ambience, I will definitely visit this place over and over again!